Sundays are for football, so why not have Happy Hour on Sundays too? Well, we do! Many of you join us for brunch on Sunday’s but not everyone wants a full brunch with all of the fixings. 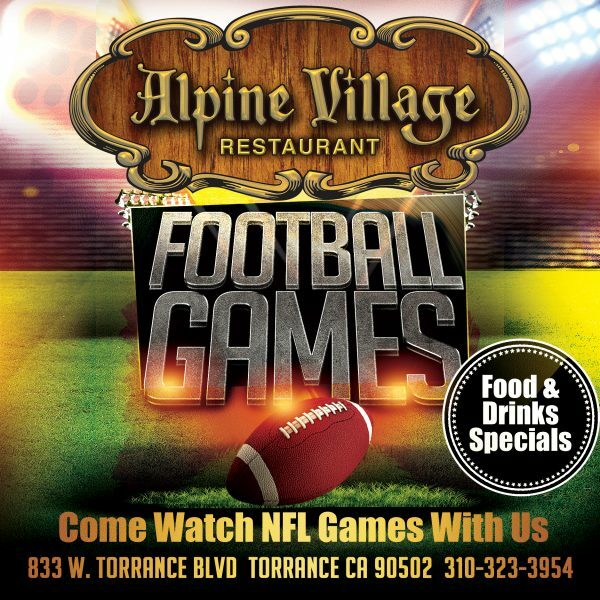 Some of you just want to watch the games on one of our many TV’s and enjoy some bar food while taking in the games. Well, you have come to the right place. We have a Sunday Happy Hour that starts with the kickoff of the morning games at 10am and goes through 3pm in the Alpine Restaurant. The Sunday Happy Hour menu is only served in the bar area. fried chicken wings with a choice of Sauerbraten glaze, BBQ, or Traditional Spicy Buffalo served with celery, carrot, and house prepared dipping sauce, and Ranch dressing.